A vestige of Boston’s old economy could soon become a hub for its new economy. 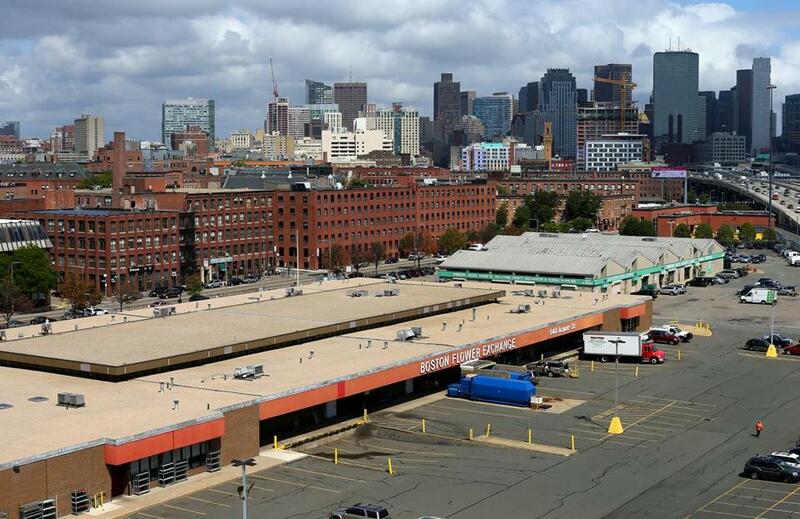 The buyers of the Boston Flower Exchange property Thursday unveiled plans to turn the 5.6-acre warehouse facility on Albany Street in the South End into a tech office campus they hope could rival Kendall Square in Cambridge, employing as many as 5,000 to 10,000 people. Officials with the Abbey Group — which transformed the Landmark Center, an office and retail complex in the Fenway, and the old Lafayette Place Mall in Downtown Crossing — confirmed they are the long-unnamed developers who won a bidding war last year for the low-slung warehouse and parking lots along the Southeast Expressway. On Thursday Abbey executives outlined big plans to a Boston City Council panel. “There’s a lot of opportunity to create a dynamic commercial campus, the kind of development that could create a lot of jobs,” said Abbey chief operating officer David Epstein. Though he wouldn’t yet share specifics, Epstein said Abbey envisions creating a fertile environment for technology jobs and a “viable alternative to Kendall Square” in the bustling life sciences corridor near Boston Medical Center. In addition to offices, the development could include parking, public space, and perhaps some housing. All told, zoning there would allow as much as 1.6 million square feet, said Abbey Group managing partner William Keravuori — three times the size of the nearby Ink Block complex. Rumors about the site have swirled for a year, ever since the board of the Flower Exchange — a co-op of flower distributors — agreed to sell their longtime home for more than $40 million, according to people familiar with the deal. In February, the trade publication The Real Reporter, citing unnamed sources, first reported that Abbey has the site under contract. Abbey did not confirm it is the buyer until Thursday, at a hearing City Council members requested on the Boston Redevelopment Authority’s plan to change the property’s use to general commercial space. Learning that the buyer is an established developer with a plan for office space reassured Steve Fox, president of the South End Forum, an umbrella group for neighborhood organizations. Still, Fox said, he remains concerned about how thousands of workers might access the site — which is not particularly close to any Massachusetts Bay Transportation Authority stations and is on a less busy stretch of Albany Street. “Transportation is going to be huge for this,” he said. Other are watching the mix of jobs. Sue Sullivan, executive director of the Newmarket Business Association, worried about another industrial site that will be lost to a different use. Boston, Sullivan said, still needs room for blue-collar jobs. While Epstein said it would be “presumptuous” to detail specific plans for the Flower Exchange site before consulting with neighbors, it appears his project is aiming higher than retail. He cited technology jobs several times in discussion with City Council members. “We’d look to get companies coming over from Kendall,” Epstein said. First, though, Abbey has to close on its purchase. That will happen “as soon as possible,” Keravuori said; the 14 vendors still operating in the Flower Exchange have been told to move out by year’s end. Once the site is in Abbey’s hands, the company plans to move quickly on its development plan, Keravuori said. But any formal proposal is still likely months away. 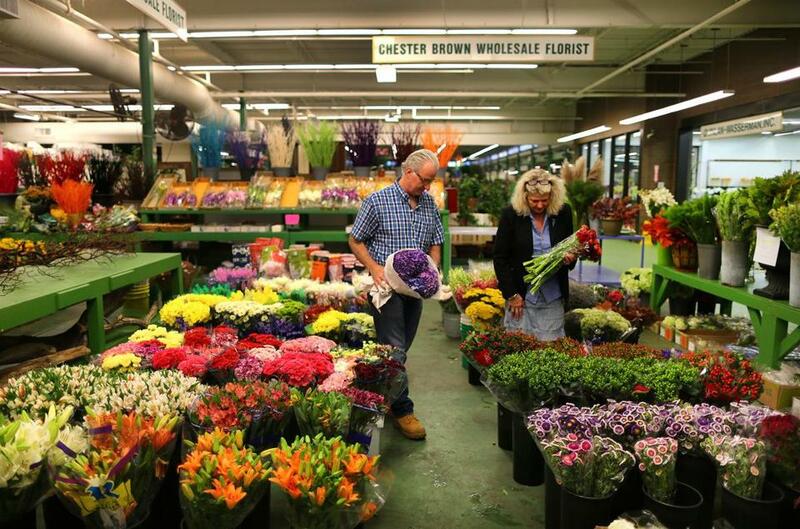 David Brown and his wife Ann own Chester Brown Wholesale Florists inside the Boston Flower Exchange. Tim Logan can be reached at timothy.logan@globe.com.